If you want to contact specific staff of CINTEC, please refer to Staff. 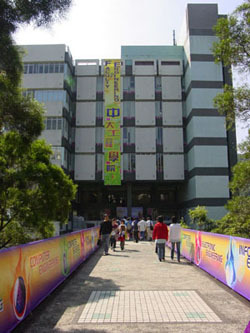 CINTEC is located in Ho Sin Hang Engineering Building (HSB). The building is very close to William M.W. Mong Engineering Building (ERB). Since the two buildings are at slightly different levels of the hill. The 5th floor of HSB is connected to the 9th floor of ERB via a footbridge. There is a direct entrance to the 4th floor of ERB from car park located at the G/F of HSB. If you come to the campus by train; come out of the University Station through the exit to the university. There is a Campus Shuttle Bus station about 15M on your right hand side. Take a bus of either route 1A or 1B and get off at the station opposite to Sir Run Run Shaw Hall (second or third stop). Follow the red line on the map to walk across the University Mall, down the stairs, cross a driveway, down further stairs and you will find a footbridge leading to the 5th floor of Ho Sin Hang Engineering Building. And, CINTEC is on the 6th floor. If you drive, please note that there are 3 entrances to the campus. Two entrances are accessible from Tai Po Road. They are the Main Entrance and the Chung Chi Entrance. 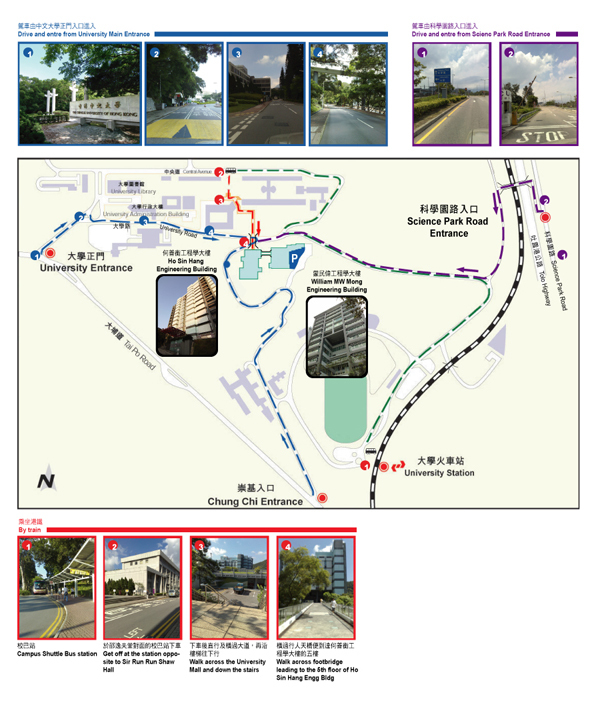 The third entrance is near Hong Kong Science Park. Parking space for visitor is available at the open space in front of William M.W. Mong Engineering Building (ERB). Car park of Ho Sin Hang Engineering Building (HSB) is for recognized vehicles only, without prior permission, may lead to impoundment of vehicle by campus security.